Have you got a garden bed that’s empty or an area of your yard that you’re not sure what to do with? Have you considered putting in a vegetable garden? Edible gardens are currently one of the top landscaping trends for 2016. This means having one can not only add value to your home and yard but also provide your family with food for the coming months ahead. Not only that, but you might even be able to ward off some bugs and other pests that come to your yard by planting the right edibles in your yard. Many varieties of fruits and vegetables are brilliantly colored and have foliage with interesting textures. These additions to your yard provide a beautiful array of colors and other visual appeal. With the right mix of items, you can make your edible garden pop out and catch the eyes of your neighbors and even yourself when you’re looking out from the back window. When you plant edible items, you’re adding a practical use and value to your yard. This food can be used to nourish and fulfill your family’s wants and needs when it comes to grabbing something delicious, healthy and wholesome to eat. You know the ingredients and where the food came from when you grow it in your own yard. Planting shrubs around the garden will outline the food inside and create a striking look and feel. Once you see the open layout that you have, you can then design something that stands out and catches the attention of one and all, while nourishing your family at the same time. Another option is to used raised beds for your edible garden areas. Raised beds require less maintenance, and they’re a great way to keep rabbits out of your salad greens. 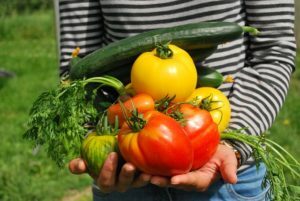 Here are some more tips for having an edible garden in your Minnesota yard. We can provide you with a design for an edible garden in your yard that complements the rest of your landscaping. Provide your family with food and your backyard with beauty with help from Architecture Landscape Design. Call us today to learn more! We are a licensed Minnesota landscaping company serving the Minneapolis metro area and surrounding communities.